Whenever I visit a new place I always make sure to check out the magazine section of a local bookstore. This is part of the cultural research I undertake. What are people reading? What is the standard of beauty here? In most countries, I am disappointed to find Vogue, Elle, Cosmo, and the same magazines from America, wrapped in import packaging and projecting American beauty standards onto foreign audiences. However, when countries do produce their own magazines, I’ve made some interesting observations around the world. For example, while American women’s fashion magazines tend to emphasize celebrities, Japanese fashion magazines emphasize models and candid street style. They also have more information of travel and shopping. In Korea the 1/3 of the content in fashion magazines is related to beauty products and skincare. In Malaysia I had a different treat: Hijab. 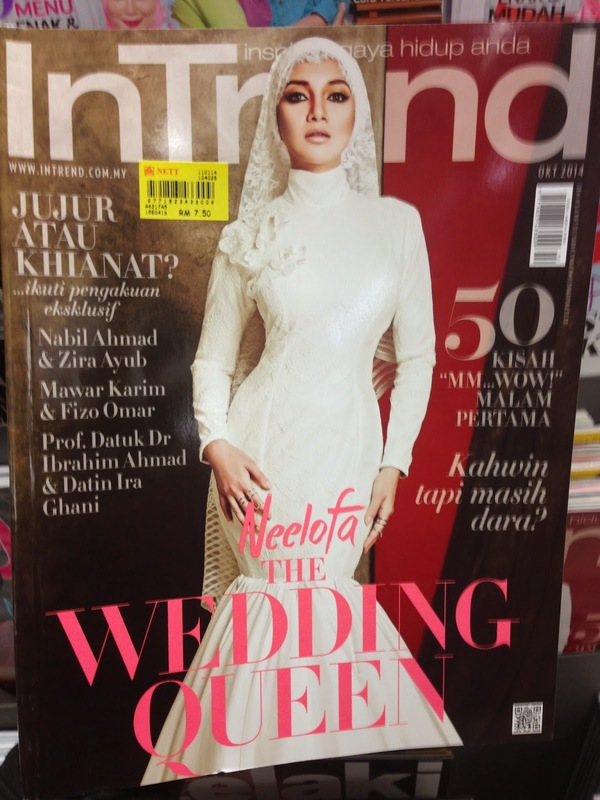 I nearly squealed in the bookstore when I found a copy of the coveted Hijabista (Hijab + Fashionista = Hijabista). This magazine makes me so happy. I am happy to see women reclaiming hijab as a fashion statement. Happy to see forms of beauty that are more about concealing than revealing. Happy to see the focus on women’s style, not women’s bodies. Happy to see a magazine that is reflective of its readers (based on my observation, in big cities like Kuala Lumpur, around 50% of the women wear hijab, and in rural areas it's more like 90%).